As an endeavour from Kalinga University, we have tried to answer some questions through the Frequently Asked Questions (FAQs) section. We hope this will be able to give you clarifications on queries you might have and facilitate in understanding more about Kalinga University. 1. Where is Kalinga University situated? Kalinga University is a State Private University located in Naya Raipur (New Raipur), Chhattisgarh, India. 2. Tell us more about Chhattisgarh? Chhattisgarh is one of the 29 states of India, located in the centre-east of the country. It is the tenth-largest state in India. A resource-rich state, it is a source of power and steel for the country, accounting for 15% of the total steel produced in the country. Chhattisgarh is one of the fastest-developing states in India. Chhattisgarh has a well connected transport infrastructure through Road, Railways and Air. The official language of the state is Hindi, English & Chhattisgarhi. The Industrial Sector of the states consists of Power Sector, Steel Sector, Aluminium Sector, Natural Resources like Forest & Mineral Deposits and Information & Technologies. Chhattisgarh, situated in the heart of India, is endowed with a rich cultural heritage and attractive natural diversity. The state is full of ancient monuments, rare wildlife, exquisitely carved temples, Buddhist sites, palaces, waterfalls, caves, rock paintings and hill plateaus. There are many waterfalls, hot springs, caves, temples, dams and national parks and wildlife sanctuaries in Chhattisgarh. As Chhattisgarh is a state with Surplus Power, there are no electricity power outages or power cuts. Chhattisgarh has been time and again ranked 4th in "Ease of Doing Business" by World Bank. It is the 1st State in India to provide legal rights for the skill development to youth by making skill up-gradation schemes. Chhattisgarh has everything to establish a strong industrial base with enabling business environment, providing world class infrastructure with robust government policies, excellent developmental plans and skilled workforce to in turn help build a strong environment for the business. The advantage of Chhattisgarh for business include; Accelerated Growth, Low Cost of Operations, Naya Raipur (New Raipur), Adequate Infrastructure, Abundant Minerals Skilled Manpower & Knowledge Hub, Excellent Industrial Infrastructure, Surplus Power and Top-Notch Educational Institutions. 3. Tell us more about Naya Raipur (New Raipur)? Naya Raipur (New Raipur) is located in the Indian state of Chhattisgarh. Naya Raipur is serving as the administrative capital of the State and also caters to the infrastructural needs of industry and trade in the region. Naya Raipur is India's 6th Planned City and 4th among the Capital Cities in India. The city is considered to be one of the world's 1st Integrated City and provisions even further expansion and infrastructure upgrade in the future. Naya Raipur is gearing up to be a major education and health hub in Central India, with a bevy of Educational institutes like National Institute of Technology, Hidayatullah National Law University, Indian Institute of Information Technology, Indian Institute of Technology and Indian Institute of Management Raipur. It is a well connected city with transportation modes via Road, Railways and Air. Swami Vivekananda International Airport is primary airport serving the state of Chhattisgarh. On recent modernisation, it is one of its kind in central India and presently connects Raipur to most of the major Metro cities of India. Raipur Junction railway station is situated on the Howrah-Nagpur-Mumbai line of the Indian Railways and is connected with most major cities. Raipur is surrounded by National Highways and Expressways. The National Highways connect Raipur to various cities. The Shaheed Veer Narayan Singh International Cricket Stadium or Naya Raipur International Cricket Stadium is a cricket field in the city of Naya Raipur, Chhattisgarh. It is the 2nd largest cricket stadium after Eden Garden cricket stadium (Kolkata) and 4th largest cricket stadium in the world. Raipur has good shopping malls namely Magneto Mall, Ambuja City Center Mall, Chhattisgarh City Center Mall, Colors Mall, City Mall 36 to name a few. The city is well equipped with multiplexes like PVR Cinemas (Magneto Mall), INOX Cinemas (City Mall 36/Ambuja City Center) Cinemax Cinemas (City Center), Carnival Cinemas (Colors Mall) and more. Raipur has a good amount of hotels and restaurants, from high end to budget ones, catering to everyone’s need as per their budget. The city has parks, nature & wildlife with the purpose of conservation, recreation and protection. A few of them are Ghatarani Waterfalls, Naya Raipur Central Park, Vivekanand Sarovar, Urja Park, Gandhi Udyan Park, Nandan Van Zoo & Safari, Nandan Van Nature Center, Udanti Sanctuary and Maharajabandh Lake. 4. When was Kalinga University Established? Kalinga University, a premier institution of teaching and research in the country, was established in March 2011 under Chhattisgarh Private Universities (Establishment and Operations) Act 2005 – vide Gazette Notification S. No. 74 dated 25 March 2011 and under section 2 (f) of UGC Act 1956. 5. What are the approvals Kalinga University has? Kalinga University is a State Private University established by the Government of Chhattisgarh and approved by the University Grants Commission (UGC) click here. The B Tech & Diploma Engineering Programmes of Kalinga University are approved by All India Council for Technical Education (AICTE). The Law Programmes of Kalinga University are approved by the Bar Council of India (BCI). The Education Programme (B.Ed) of Kalinga University is approved by the National Council for Teacher Education (NCTE) and the State Council of Educational Research and Training (SCERT), Chhattisgarh. The Physical Education Programme (B.P.Ed) of Kalinga University is approved by the National Council for Teacher Education (NCTE). 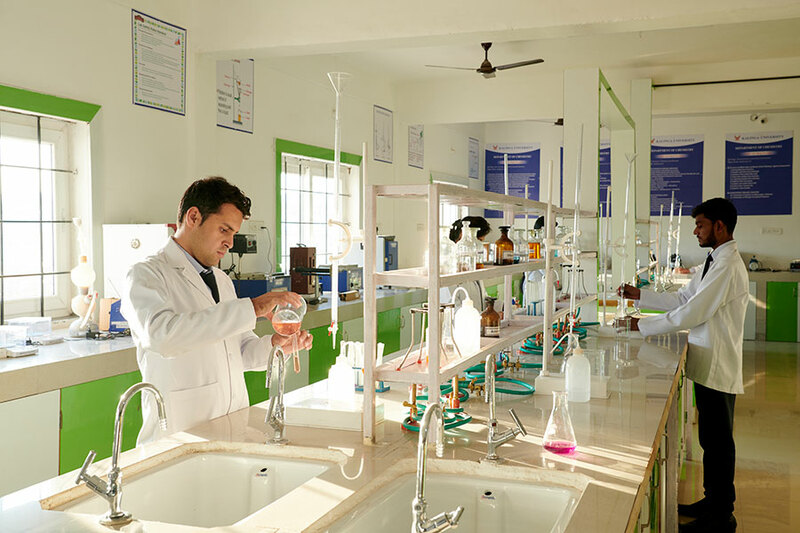 The Bachelor of Pharmacy & Diploma Pharmacy Programmes are approved by All India Council for Technical Education (AICTE) and Pharmacy Council of India (PCI). Indian Academy of Social Sciences. PHD Chamber of Commerce and Industry (PHDCCI). Indian Importers Chamber of Commerce and Industry (IICCI). 6. After completion of my programme from Kalinga University am I eligible for Government (State/Central) Jobs all over India and abroad? Yes, your degree is recognised for Government Jobs (State/Central) across the country and abroad. 7. After completion of undergraduate programme or post graduate programme from the University, will any Public University in India or recognized foreign university accept me for masters programme or higher education? Yes, Bachelors & Masters degree from Kalinga University is acceptable in all State, State Private, Deemed and Central Universities in India as well as abroad. 8. What are the facilities being provided in the campus in form of services for the students? There are many, including canteen catering to specific food needs for the students, indoor & outdoor games, separate common rooms for Girls and Boys, Web & Mobile enabled academic information, fully equipped Library, University Transport, separate hostels for Girls & Boys, Moot Court, Health Clinic, Food Mess for hostel students, TV Room, Tuck Shop, Recreation Room, Mini Market consisting of ATM, Stationery Shop, Photocopy Shop, Personal Care - Barber Shop & Beauty Salon, Snacks Shop, etc, drinking water dispensers across the University and a truly green integrated campus. 9. How does the Health Clinic cater to students? The University provides basic medical care through its Health Clinic for their students catering to first aid and minor ailments. For advanced care and consultation, the University has a tie-up with a 300 bedded hospital and Medical College by the name of Raipur Institute of Medical Sciences (RIMS). 10. Do you offer the facility of Education Loan? Kalinga University is in collaboration with Central Bank of India (Branch: Rakhi), to assist in channelizing Education Loans to the willing students. Students are free to avail of this facility. 11. What kind of facility Kalinga University provides regarding transportation and what are the charges? The University’s fleet of buses facilitates students and staff to commute. The details of the transport routes can be viewed click here. Transport charges can be viewed in the Fee Structure click here. 12. What are the library facilities offered by the University? The University has a large library and reading room with capacity of 200 students, consisting of 65,000 books 23 National & 26 International Journals and a student is entitled to 2 books for 15 days against Library deposit. The University is also member of several Online/Digital Libraries including National Digital Library (NDL) and Developing Library Network (DELNET). 13. 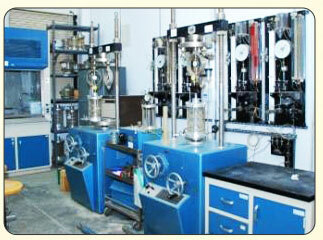 What are the lab facilities provided to the Engineering & Technology Students? 14. What are the lab facilities provided to the Bio Technology Students? 15. What are the lab facilities provided to the Pharmacy Students? 16. How does Kalinga University cater to security of the students? Entire campus including hostels, parking and academic areas are very well secured through in-house & security agencies with guards. CCTV cameras have been installed at all the places to keep a close vigil in the campus. 17 How the student is able to apply for issuance of Bonafied/Provisional/Migration/Transfer/Character /Transcript/Duplicate Marksheet/Verification/Name & Surname Correction/Diploma/Degree? The student can download the Application Form from the link provided below. The student will fill up the appropriate form, attach the relevant documents required as per the form, self attest the attached documents and Speed Post (Only) to the University Campus address along with the relevant fees for issuance of the desired document. The Diploma/Degree will be issued within 45 working days on the receipt of the above said and the rest of the documents will be issued within 15 working days of the receipt of the above said. click here. 18. What are the indoor games facilities provided by the University for the students? The University has indoor games facilities which include snooker/pool table, table tennis table, chess and carom board. 19. What are the outdoor games facilities provided by the University for the students? The University has outdoor games facilities which include international level basketball court, volleyball court, cricket pitch, football field, tennis court and badminton court. 20. What are the facilities provided by the University to the students for fitness? A student’s fitness centre is at the University campus which has treadmill, stretching machine, suspension trainer, stationary bike, abdominal bench, cross trainer and weight training equipments. There is a certified Weight & Fitness Trainer as well. 21. What other recreational facilities are provided by the University for the boarding students? For the boarding student’s we have a music teacher and a certified martial arts trainer. 22. What all documents the person has to carry at the time of Registration? 23. Can I take back the original documents with me? Your original documents will be retained by the University until your registration/enrollment completion. Please do not forget to take an acknowledgement for your original documents. 24. Where can I get the prospectus and application forms? You can Apply Online click here. 25. What should the candidate do if he/she does not have the scorecard available with him/her & not even available on the internet? In this case the candidate will be given provisional admission and she/he will furnish an affidavit/undertaking that she/he will be furnishing the appropriate score details & documents within 60 days from the start date of the Course. Even if the candidate is not able to furnish the required details, a maximum time limit is given till the start of the 1st Examination. If the candidate is still not able to provide the score details & documents, she/he will not be allowed to appear in the 1st Examinations and the candidate will be cancelled without refund. 26. If the person has done his XII from distance learning/open learning/private, is she/he eligible to do B. Tech through Kalinga University? Yes, provided the course is recognized and equivalent to 10+2 examination conducted by CBSE or other recognized Boards. 27. Is it necessary for the parents to attend/accompany children during counselling? No. It is not mandatory for parents to attend / accompany children during counselling. 28. Do I need to pay the admission/tuition fee at the time of counselling / admission? Yes. The fee is to be paid on the day of counselling/admission. 29. What is the Fee Structure for the various programmes offered by Kalinga University? 30. Will the tuition fee change next year? The Tuition fee will remain unchanged for the entire duration for a particular batch. However other charges like Transport, Hostel Fee, etc may change. 31. In whose favour should the application Demand Draft (DD) be made, where should it drawn and in which bank should it be made? All the fees payable is accepted through Cash/Cheque or Demand Draft (DD) drawn in favour of “Kalinga University” payable at Raipur. 32 Are hostel charges included in the Tuition Fee? 33. Can there be a refund of fees after admission or if a student withdraws from the course? Fee Refund will be according to the University refund policy. 34. Other than the course/tuition fee what other fees needs to be paid? 35. Is there any Uniform? 36. What kinds of programmes/courses are provided by Kalinga University? For various programmes /courses provided by Kalinga University click here. 37. What kinds of scholarships/schemes are provided by Kalinga University? If yes what is the criteria. For various schemes provided by Kalinga University click here. 38. What type of companies/industry tie ups with Kalinga University? For details on industry tie ups click here. 39. If a new branch is added in the University from the next year can a student change their branch? No, a student cannot change his branch in the next year . 40. What is the eligibility for Lateral Entry to get the admission in the course? If yes what is the criteria. 41. The Industry Integrated programmes; how is it beneficial if attending the programme? Industry Integration is a process of integrating academic curriculum with the industry requirements making the end product a useful input for the industry. In the Industry Integrated programme, a student spends 50% of course duration in classroom backed-up with Communication Skills Training, Data Analysis Skills Training, Computer Training, Special Employability Skills Training, etc and the balance 50% of duration in an Industry/Company with stipend. Kalinga University is situated in Naya Raipur (New Raipur), the Capital of Chhattisgarh. Naya Raipur is serving as the administrative capital of the State and also caters to the infrastructural needs of industry and trade in the region. It is India's fourth planned capital city. For Location Map click here. Raipur can be reached by Flight, Train and Road. The details can be confirmed by the relevant Airways, Railway and Road Transport Enquiry. Apart from the FAQs stated above, if you may have more queries or need further information please get in touch with us on our E-mail: [email protected] or Contact No's: 9303097043.